Recently an editor acquaintance of mine told a public relations seminar that she didn’t care how PR pros pitched her as long as they didn’t waste her time. OK, seems simple enough. Yet getting your approach just right can still be daunting, so we thought it a good time to revisit the rules for successful story pitching. Keep your pitch under 200 words. Some at our agency would make the case for fewer, but there are instances where more is actually more, like a complicated new technology or a financing announcement with many players. However, the prevailing rule in our 140-character world is the shorter, the better. Be prepared. Those of us who opt for minimal subject lines and two-sentence email pitches need to be prepared to answer all logical questions, arrange interviews, supply statistics or other data, and essentially close the sale. 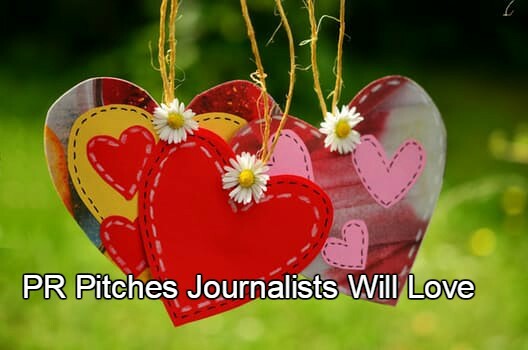 There’s nothing worse than having a journalist bite on a pitch for a time-sensitive story and have to spend a week digging up research or wrangling a client for an interview. Be ready to go. Get strategic with your subject line. The same editor told me the simplest subject line is the best. If you know the editor well, go with “Hi Jane, it’s me.” If not, find a compelling few words that get the message across without being too clever. We occasionally look at email studies that analyzed thousands of pitches and provided recommendations on top-performing words (among them, “ideal” and “know”) and ones to avoid (“interactive” “data” some of the lowest performers.) One of our most successful campaigns on behalf of a connected home air quality monitor included media outreach with this subject line: “‘Sick house’ facts you need to know.” Lesson learned. Can your story be tied to a trend? If this sounds tried and true, it is. The best PR pros are voracious media consumers and this gives them insights into what’s current in pop culture, politics, tech breakthroughs and world events. The best pitches are often those that point out a connection to a hot trend. The week after the presidential inauguration, if you were fortunate enough to represent an expert on crowd science, for example, you likely hit the newsjacking jackpot. We’ve got the beat. Demonstrating knowledge of journalist beats is one of the most direct routes to interest in a story idea. And it pays to go the extra mile to discern the subtleties that separate the beats. Dig deeper than a Cision listing to determine whether that “technology” reporter covers software or hardware, or whether a regional publication includes your client’s hometown or if that consumer reporter ever covers new products or only trends. This extra step can be the difference between a productive relationship and a snarky email schooling you on your media misstep. Be fearless in your follow-up. If a reporter has opened the door to the possibility of a story but doesn’t commit right away, don’t give up. We don’t condone mindless pestering. We do advocate building on what has already been pitched to flesh out an angle even further. This approach can heighten the urgency of your story and help a fence-sitting journalist decide to cover. Upon launching a new wearable safety device, we received lukewarm interest from a writer who left it to us to “dazzle” him in some way. Within days, a story appeared covering the FBI’s search for tech talent to develop software that was basically identical to our client’s product. This was the newsworthy nudge the writer needed to craft this story.